Karen is VP Product for Sage Business Cloud at Sage. Leading the definition, design and delivery of products within the group, Karen has over 20 years of b2b software industry experience worldwide. 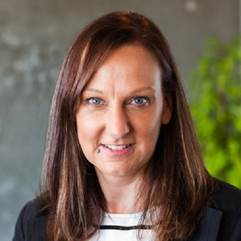 Previously leading the product management teams across Europe and Sage 200 in the UKI, she has extensive product management skills in product delivery for customers managing growing businesses. · What is the real admin impact on your organisation of your back office stack? Greater insight and increased productivity are always on the agenda. Sage Business Cloud gives you platform to collect the right data, quickly and intuitively driving your scale up ambition.